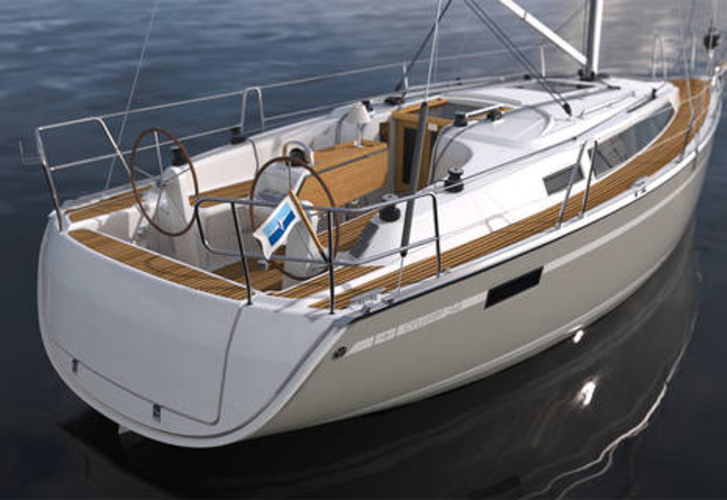 In 2018 has been manufactured boat Bavaria Cruiser 34 called NEW BC34. She is based in harbor Split in region Split in Croatia. You can accommodate up to 8 crew members on the vessel NEW BC34. Configuration of berths is 8 (6+2). There are 3 bedrooms located under boat's deck. NEW BC34 is equipped with 1 toilettes. You can see other boats by going to the section Yacht charter Split. Tank for fuel is 150.00 l l. capacious , water container has up to 150.00 l liters. In this sailing boat there is engine 18 HP. With 9.99 m of lenght and 3.42 meters of beam NEW BC34 offers enough space for comfortable sailing. Bavaria Cruiser 34 NEW BC34 is equipped with: Autopilot, Plotter gps in cockpit, Gps plotter, Bimini top, Dinghy, Anchor electric windlass, Radio / cd player, Furling mainsail. . Nonrefundable caution is 1500.00 EUR. Search for more offers by going to this section: Yacht charter Split.